Since the start of the 2019 recruiting cycle, linebacker was clearly a priority for Miami. All three of Hurricanes’ projected starters for the 2018 season will be juniors and at least two seem likely to enter the 2019 NFL Draft. Until last month, the two longest-tenured members of Miami’s Class of 2019 were a pair of 3-star outside linebackers. Now the Hurricanes have a blue-chip linebacker to rebuild the group around. 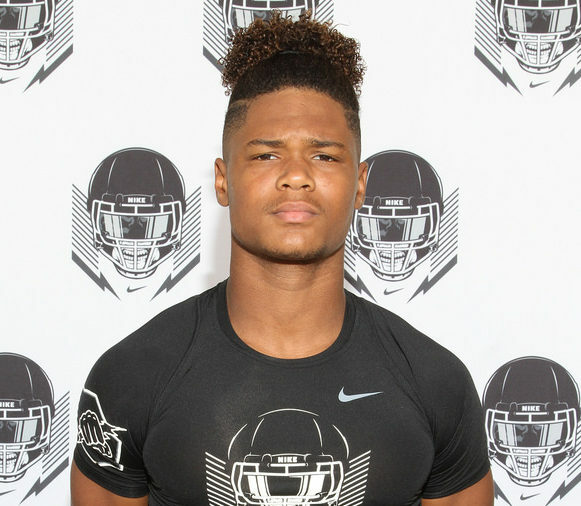 Anthony Solomon, a 4-star outside linebacker from the Miami metropolitan area, announced his commitment to the Hurricanes on Wednesday after informing defensive coordinator Manny Diaz and coach Mark Richt on Tuesday. Michigan long appeared to be the front-runner for Solomon, who openly called the Wolverines the favorite at times throughout his recruitment. 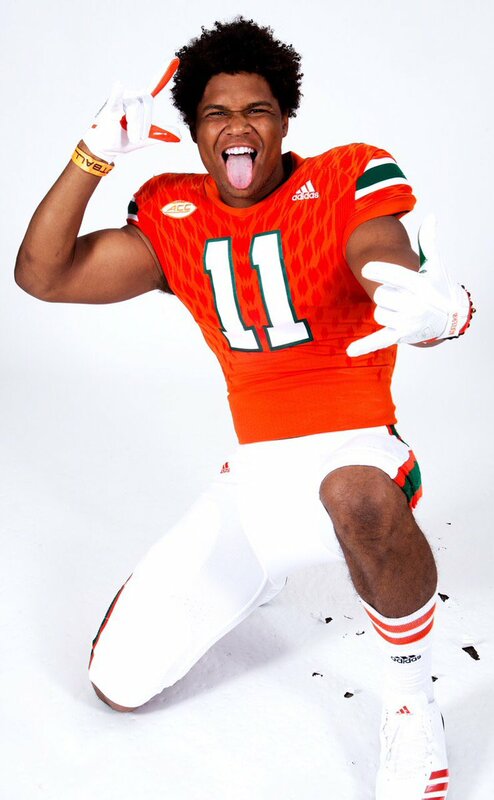 The rising senior from St. Thomas Aquinas High School in Fort Lauderdale has already visited Coral Gables, Fla., three times in 2018, most recently for Miami’s junior day March 24. His two visits to see the Hurricanes on Jan. 15 and Feb. 17 vaulted Miami into a two-team race with Michigan. His most recent visit to see Miami practice at Greentree Practice Fields elevated the Hurricanes to the point Solomon felt comfortable committing. Solomon, whose mother attended Miami, is a foundational piece for the Hurricanes’ 2019 class. He becomes the class’ second blue-chip pledge, joining 4-star wide receiver Jeremiah Payton after fellow 4-star wide receiver Brieon Fuller de-committed Tuesday. The 6-foot-1, 200-pound linebacker is now the highest-ranked defensive prospect in Miami’s class, edging out 3-star weakside defensive end Cameron Williams. Solomon is truly one of the best linebackers in the 2019 cycle. Considered the No. 12 player at his position by the 247Sports composite rankings, Solomon accepted an invitation to the Under Armour All-America Game on March 9. He may be a bit undersized, but the Hurricanes are content to play undersized players at outside linebacker. If star outside linebacker Michael Pinckney heads to the NFL after this season, Solomon could become a logical choice to start as a freshman at weakside linebacker. Darrion Owens, who served as Pinckney’s backup in 2017, transferred to Houston in the offseason, leaving Miami without a clear successor. There’s a good chance Solomon winds up as the highest-ranked linebacker in the Hurricanes’ class.